The hire could signal an interest from Apple in the medication adherence space. When Mango Health announced last month that CEO Jason Oberfest was stepping down, the company didn't mention where Oberfest was going. Now, according to his LinkedIn, first spotted by CNBC, he has joined Apple's health team in an unspecified role. 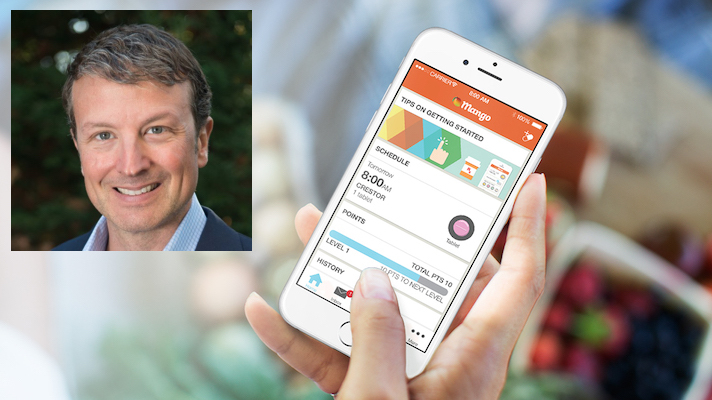 Mango Health, which launched in 2012, has achieved success, or at least longetivity, as a gameified, incentive-based medication adherence app. He's spoken with MobiHealthNews a number of times about his approach. "My sense of adherence initiatives in the industry is they've tended to focus on two primary areas: On the one side, better tracking of patient consumption of medication, and on the other side analysis of back-office patient data to identify at risk populations," he told us back in 2013. "Our feeling is that the root cause of nonadherence is behavioral, and those approaches don't address that." Oberfest's hire could signal an interest in the medication adherence space for Apple. While there haven't been many indications of that as a priority for the company, it does fit in nicely with Apple Health Records and the company's push to put patients' medical records, of which medications are an important part, in their hands. Apple chose medication adherence app company Medisafe to showcase the Health Records API, giving the company early access and featuring it in promotional material. On the other hand, Apple could simply have been attracted by Oberfest's application of incentives, gamification, and consumerization to the healthcare sphere, a proclivity that fits in well with many different aspects of Apple's business. It would be premature to read anything definitive into this hire. Apple tends to be secretive about its healthcare plans, and historically hires and departures (as well as acquisitions, which also tend to have a hiring component) have provided a rare insight into what the tech giant has in the works. For instance, while the Apple Watch was still a rumor, sensor hires hinted at the device's form factor and feature set. A spat of 2016 and 2017 hires including Dr. Ricky Bloomfield and Dr. Sumbul Desai queued up the company for its Health Records play at the beginning of this year.